Morning Sun Ranch offers full care boarding with everything you need right where you need it. Owners are on site 24/7. Whether your horse is big or small, we have it all. 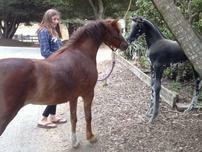 We can accommodate the first-time horse owner or the most serious professional. It is a friendly and casual atmosphere. We embrace all riding disciplines, and visitors are welcome anytime. 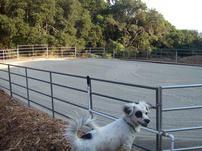 We have several arenas: 60 x 100, 80 x 128 and 150 x 250 with a fenced track and lights. 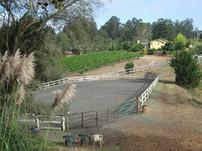 We also have a round pen. 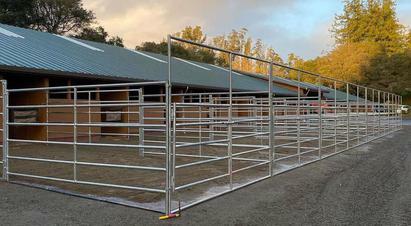 We offer stall and paddock cleaning six days per week, and feeding three times every day. We have tractor groomed trails that go for hours and are maintained regularly. 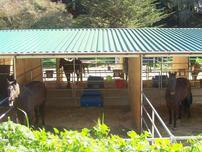 There are covered groom areas, private tack closets, wash areas, grazing pastures, trailer parking and picnic tables.